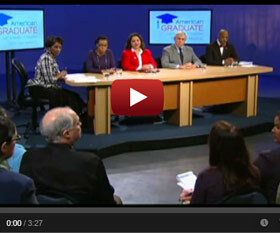 The New York State Cradle to Career Alliance was launched February 1, 2013. The Alliance exists to ensure the success of collective-impact partnerships within the state of New York who are committed to greater student achievement from cradle to career. With the backing of SUNY, the Alliance facilitates and supports the expansion and alignment of community efforts and Strive partnerships throughout the state. We help communities help their students to succeed—from birth through school and into the workforce—by implementing the Strive Framework for Building a Cradle to Career Civic Infrastructure©: Shared community vision, Evidence based decision making, Collaborative action, Investment and sustainability. The Albany Promise is a regional, cross-sector partnership where community leaders come together to support a shared cradle-to-career vision for education and to improve student outcomes for children and youth in the targeted neighborhoods of West Hill, Arbor Hill, and the South End. Our partners, who represent a broad cross-section of the Albany community, have been meeting since 2009 to build a new civic infrastructure that enables our city to align its services and resources to optimally serve our neediest neighborhoods. This new civic infrastructure is built on four conceptual pillars: establishing a shared community vision, engaging in evidence based decision making, working collaboratively, and investing in the civic infrastructure to sustain impactful strategies and bring them to scale. Our goal is simple: Every child will have the chance to be successful, from cradle to career. The Albany Promise has convened action teams around priority outcomes. A subset of the community level outcomes was prioritized after a review of baseline data and identification of the most pressing needs. Before engaging these action teams, the partnership developed a clear set of expectations on what the action teams do as well as their ideal composition. The Albany Promise action teams are utilizing the Strive Network collaborative action process which is a social sector adaptation of six sigma continuous improvement process.